Did the victim provoke the dog? Dogs are sometimes provoked into biting humans. If this is suspected by defense counsel than a defense of provocation defense potentially counter strict owner liability under California’s dog-bite statute, Civil Code section 3342. See Gomes v Byrne (1959) 51 C2d 418 (assumption of the risk and “willfully invited injury” are defenses to statute); Davis v Gaschler (1992) 11 CA4th 1392. There are a few California cases that have looked at the issue of provocation and in these cases the fact pattern did not support a defense of provocation. For example, the court ruled that crouching over a dog to pet it was not provocative (Smythe v Schacht (1949) 93 CA2d 315). Likewise reaching down to pet a dog (Ellsworth v Elite Dry Cleaners (1954) 127 CA2d 479), or giving a dog food (Burden v Globerson (1967) 252 CA2d 468) were deemed non-provocative acts by the plaintiff. However, appellate rulings from courts ruled that the plaintiff’s actions were provocative the nature. For example, an Illinois court ruled that a two-year-old child’s stepping on the tail of a normally non-aggressive dalmatian was provocative (Nelson v Lewis (Ill App 1976) 344 NE2d 268). And in Arizona, provocation happens regardless of the intentions of the plaintiff since provocation depends on whether the action caused the animal to react (rather than on the intent of the actor) Toney v Bouthillier (Ariz App 1981) 631 P2d 557. In California, the age of the plaintiff is a factor in determining whether the dog bite victim provoked the dog. For example, see Greene v Watts (1962) 210 CA2d 103 (young child may not be capable of assumption of risk or contributory negligence in dog-bite case) or the ruling in People v Berry (1991) 1 CA4th 778 (a child under the age five is not legally capable of acting with reasonable care towards a dog). Whether provocation happened in any given instance is determined by the totality of the circumstances. 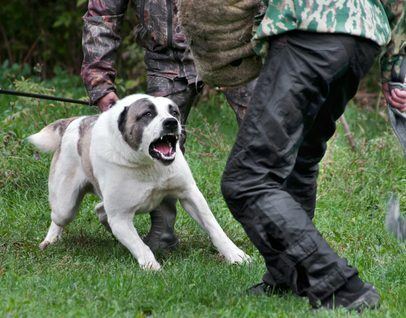 Similar actions affect dogs differently, and any given action will not necessarily provoke an attack by a dog. Appellate courts can rule on legal definitions about provocation. However, ultimately whether provocation occurred is a question about animal behavior because the actions of the dog are the substance of the matter. It is important that each dog bite instance be evaluated on a case-by-case basis. 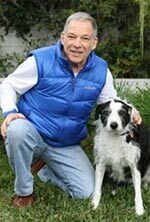 The animal behavior expert needs to consider factors which include the nature of the act by the plaintiff, breed characteristics, the past behavioral history of the dog, and the context in which the incident occurred.